You’ve often heard that success is not a sprint—it’s a marathon! As such, this marathon that we’re all running requires us to have a killer combination of endurance, fitness, and self-awareness. You need to know when to exert the most amount of energy, how to know when to act and who to take along with you on this journey. Pa’s journey has taken him from two completely different parts of the world, on a dreamlike quest which has often required the demands of a marathon, all at once! Born to immigrants in the UK, Pa’s life has been nothing short of miraculous, and how he has navigated the various challenges that were presented to him is largely due to his tried and tested methodologies. He knew that living in the Gambia was not where his journey ended, so his sheer drive propelled him to win at life and bring his hopeful family along. One thing that was made abundantly clear to Pa from the beginning of his journey was that, failure could not be in his vocabulary. It’s not that it wasn’t an option — he wouldn’t make failure a concept. With this mindset, Pa graduated from University and quickly rose amongst the ranks in the corporate world where he eventually became Head of Banking at a European Fortune 500 company. This promotion made him responsible for assets worth billions of dollars. How did a young man from a small nation become one of the most respected businessmen in the UK, Europe, Africa and Asia? What is his secret and how can you apply them to your business? IMMEDIATELY BETTER YOUR PERFORMANCE IN BUSINESS, AND IN LIFE TODAY. A key has always been a means to achieve understanding or achieving in any particular area. 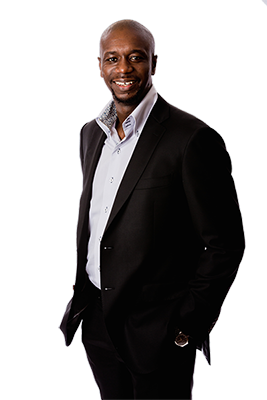 Pa Joof provides three conduits for achieving your goals in a strategic and almost miraculous way. Life is measured by growth, and through these three keys to unlocking your journey, you’ll be able to accelerate your progress and stop self-defeating habits that stand in the way. 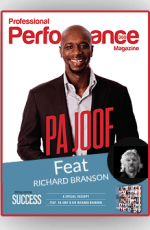 Whether you want to empower your audience, or simply want a message that resonates with people at a certain position in their lives, Pa Joof is able to connect with a crowd of any size and make them reconsider their approach to their businesses and their lives. Corporate Culture is a buzzword. Everyone wants to work for the company with the perks, but there’s a symbiotic relationship between culture, and the people it serves. Pa helps you get your employees to become part of your company’s ecosystem, while raising your business’ industry reputation amongst your competitors, without strong-arming your employees. While the world expects top executives, entrepreneurs leading unicorns, or celebrities to “have it together”, many of these individuals battle various daily challenges. To get over challenges and failures faster, Pa is able to call from within successful individuals a type of reaction that keeps them going for longer and prevents apathy, atrophy and burnout. Pa gives people a new point of view of life that really gives people a new dimension toward achieving their goals. He helps you live the life your meant to live. Pa has a gift of getting the best out of you and points you in the right direction. He ignite the spark in people and make them achieve the impossible. And more important, how to Ignite your Fire! Subscribe and receive your copy of the special report now! One more step to go, pop in your name and email address and will send you an exclusive link to download your copy of the special report now. Your exclusive copy of the special report is on its way!